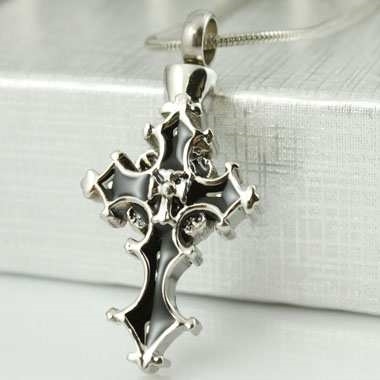 This beautiful cross pendant opens and allows you to place a small symbolic amount of ash inside. It can also hold crushed flowers, sand from a memorable location or anything else you want to keep close to your heart. This cremation jewelry urn is made out of 316L stainless steel, which is comfortable, durable and hypoallergenic. It is the same material found in many fine watches and should bring you peace and comfort for many years to come. You can add this pendant to a necklace that you already own or you can choose from a variety of styles and lengths below.